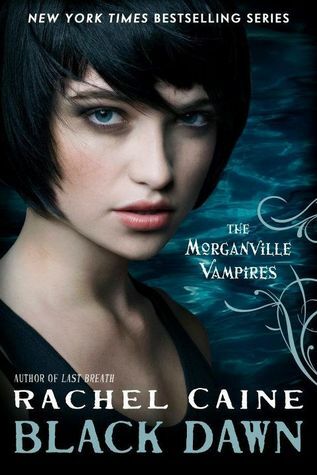 Review: Ok Let's start with this: Rachel Caine continues to be one of my favorite authors! Her books continue to surprise me and make me love them every time I read one. This book was amazing. I probably could have finished this in one sitting, but sleep got in the way. This was one of those books that you don't want to ever put down, but life gets in the way of it. My favorite part in this book was probably the dream sequence that Shane has. It was perfect. I liked how it was a dream while also being a manifestation of his worst fear. Something about the over all book that was amazing was that we could see what everyone was feeling and thinking, I think that make's Caine's books even better, seeing things from one person's point of view like the earlier books wasn't as fulfilling as the books that have multiple point of views. Call me crazy, but one of my favorite viewpoints in this book was Oliver's. I liked that we got to see things from his point of view because he's shown as this old and cold vampire that has no feelings whatsoever in earlier books, then BAM! you get to see inside his head. It was very fascinating to here what was going on in his head. Oliver/Amelie: I loved was the Oliver/Amelie relationship. Their relationship seems like a long time coming thing. I mean they were enemies first, that is a classic cliche that I still manage to love! I can't wait to see their relationship play out. Shane/Claire: In this book, their relationship in my opinion hit an all time high. The intimacy between them was almost tangible. I think that Shane's dream really accelerated their relationship for the better. Micheal/Eve: Even though they were in a fight through most of the book, they still managed to fix up most everything. I didn't like how Michael got hurt but, I loved when Eve stabbed him when he tried to scare her though, because you can't beat Girl Power. I was routing for her! I swear during the whole epilogue, I was smiling like, "They finally did it!". The down side to this book was that the first couple chapters with the draug were kind of drawn out. It seemed like she could have shorten those and added more of other things. I also would have enjoyed more interactions between the Glass house residents, it seemed like there wasn't as much in this book as there was in the earlier ones. Even though it had it's downsides, it still was a great book and I will probably read it over and over.